Veggie kofta balls PLUS they're paleo and vegetarian! Veggie kofta balls PLUS they’re paleo and vegetarian! 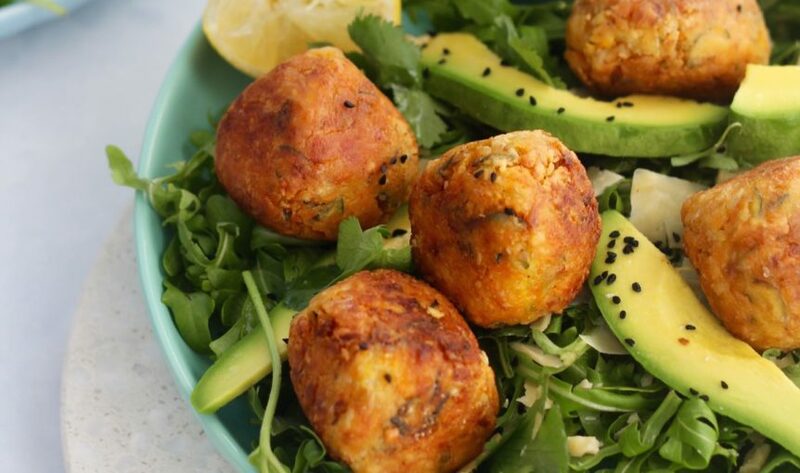 These veggie kofta balls are so yum! Officially the favourite dinner recipe from our next 14 Day Get Merry Challenge. The best bit, they’re gluten free, grain free, paleo and vegetarian. They tick a whole lotta boxes (haha) PLUS did we mention they are freaking yum as? Oh yeh we did. Best veggie kofta balls ever, well, we reckon and we’re not even being biased (lol, ok maybe a little bit). plus digestion is on point. This is why we’ve introduced more vegetarian meals into the 14 Day Get Merry Challenge. But if you love your meat it’s super easy to add a piece of grilled fish/chicken/steak/enter fave meat to these recipes. And really, extra veggies are always a good thing. Boom shake the room. Another reason we love these paleo veggie kofta balls is the fact that they’re paleo. You guys know we’re not strictly paleo (that was so 2013) BUT we kinda got sick of every single kofta ball recipe having chick peas or lentils in them. So yes, these kofta balls are paleo kofta balls and they win. If you make them, let us know! 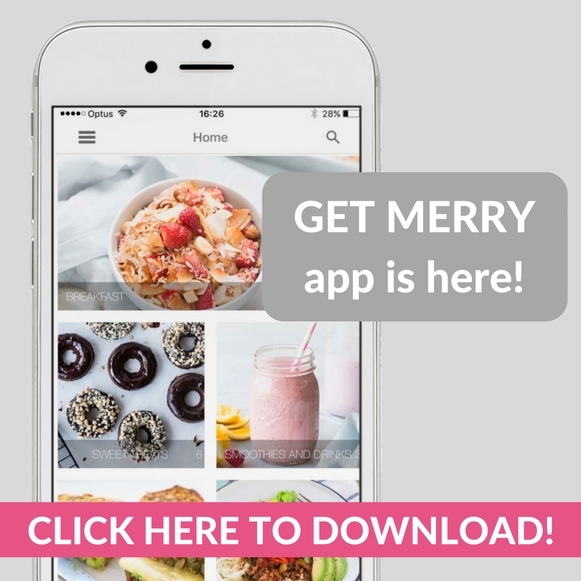 If you want even more easy, delish recipes like this join the Get Merry Challenge! 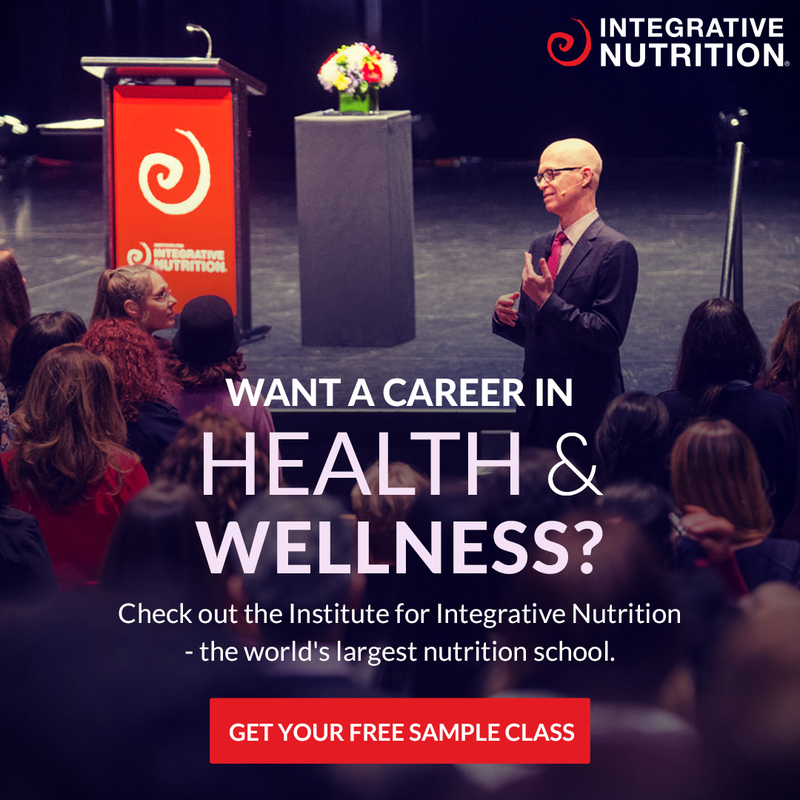 You get everything you need: meal plans, recipes, live masterclasses and 100s of like-minded people who are on your side. It’s the perfect way to get back into eating and thinking healthy. P.s right now we have just 50 early bird spots for the Challenge! It’s just $29 for 14 days! Get all the info HERE! Delish balls from our 14 Day Get Merry Challenge. Come get Merry with us! In a large mixing bowl add the grated sweet potato, zucchini and carrot and squeeze out all the excess liquid with a tea towel, discard the liquid. It should be quite dry. Leave this for now. In a blender or food processor whiz the cashews, ginger, cassava, coconut flour and cumin until combined. Transfer the cashew mix into the bowl with the zucchini and carrot, add the eggs, season with salt and pepper and stir super well. Use a ¼ measuring cup to divide the mixture and roll firmly together. It should make about 16-20 balls. In a bowl add some extra cassava flour, roll each ball in the flour to coat. In a large frypan on high heat add a generous amount of coconut oil and allow to melt. Turn the heat down a little, add your kofta balls and cook turning every couple minutes. Fry until golden and cooked through, it will take around 20 mins. Add all the salad ingredients to a bowl, drizzle with olive oil and squeeze with fresh lemon. Serve delish kofta balls with the salad. Yum. Make a double batch and use the koftas as yummy as snacks!